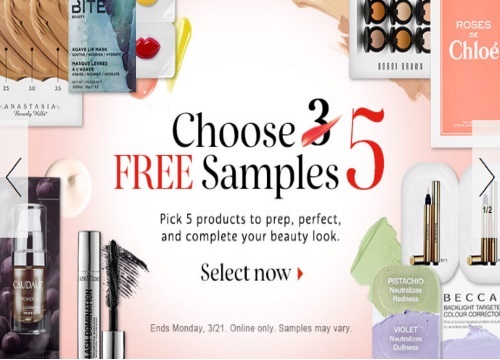 Sephora is offering 5 Free Samples with any online order right now! Normally you get 3 samples so this is a nice bonus! Offer valid until March 21 2016. While quantities last.